Mark Tracy: As vice president, strategic business and market development, I am responsible for planning and implementing growth strategies that will help our customers be successful. We want to deliver on our promise of “An AV infrastructure company like no other,” an objective we established when Middle Atlantic joined Legrand in 2011. To do that, we need to continue to provide a comprehensive set of product solutions that help our customers build great systems. That’s always been and continues to be our objective at Middle Atlantic. 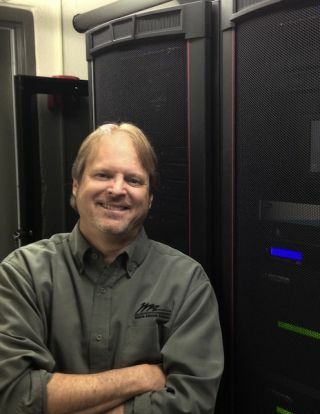 Part of my role is to oversee the addition of new categories, companies and technologies that complement our current offering, which today includes: racks and enclosure systems, point-of-use equipment mounting, power distribution and protection, technology furniture, plus the products that connect them, like Wiremold solutions and C2G cable assemblies and signal extenders. MT: I’ve been with Middle Atlantic for more than 20 years, and in that time, I have held multiple roles in marketing and product management. I have always been involved in the strategic direction of the company, been active in our industry organizations, and have been fortunate to not only watch the evolution of AV, but to participate in the innovation through Middle Atlantic. Because our products are used in such a wide variety of applications, I've developed a unique perspective of how Middle Atlantic can help solve customer problems—and I'm always on the lookout for the next opportunity. We’ve always been a product and solution-driven company, and my current role is an extension of that. SCN: What are Middle Atlantic and Legrand’s short- and long-term goals for the AV integration market? MT: Our long-term goals are always focused on helping our customers solve problems and install reliable systems. Consultants and integrators are faced with delivering great experiences to their customers every time—our job is to provide innovative products that help make that happen. The easier we can make that from a company they trust, the more value we provide. One of our key goals for 2015 is to support C2G AV connectivity products in the market, and to introduce new Middle Atlantic customers to C2G cabling innovations that can save time on their jobs—like the new RapidRun optical modular cabling system. This is an innovative modular fiber cable that can be run through a plenum or wall, and can be terminated with a wide selection of connectors without using tools. As our customers expand their businesses into new opportunities, like huddle rooms, and other meeting spaces, we are addressing collaboration applications with new offerings like our FlexView video display carts and stands for conferencing and collaboration, and TechPed Series Technology Pedestal for mounting local equipment under conference tables. We’ll also continue to enhance our digital design tools to help customers choose, design and build the right solutions for the job. Our customers tell us that being easy to do business with is one of the qualities that sets us apart—and we continue to invest in those services that make a difference. SCN: What is the greatest challenge that your customers are facing today? MT: Our customers are facing the always-present challenge of being efficient and profitable on every job, while keeping up with rapidly-changing technologies and use them effectively to deliver great experiences. The time integrators spend on design, programming and commissioning is becoming more valuable. We believe factory-assembled systems built from an online design, which could include all of the infrastructure components plus the connectivity, will become one way integrators can become even more efficient in the future. SCN: Where do you see the commercial AV market heading in the next year? The next five years? MT: We all know that AV equipment is becoming increasingly networked, and integrators must choose their infrastructure products to address the needs of these networked systems, including the right accommodations for digital cabling, equipment cooling and power distribution (including IP-addressable). As equipment continues to evolve, we're seeing more components mounted locally and in new places. We're addressing this with products like the new Wiremold ceiling box and other local mounting systems. Finally, as AV expands into these new places and new applications, our industry needs to continue to deliver great experiences—just as Middle Atlantic will continue to deliver innovative products and services that help our customers build great systems.